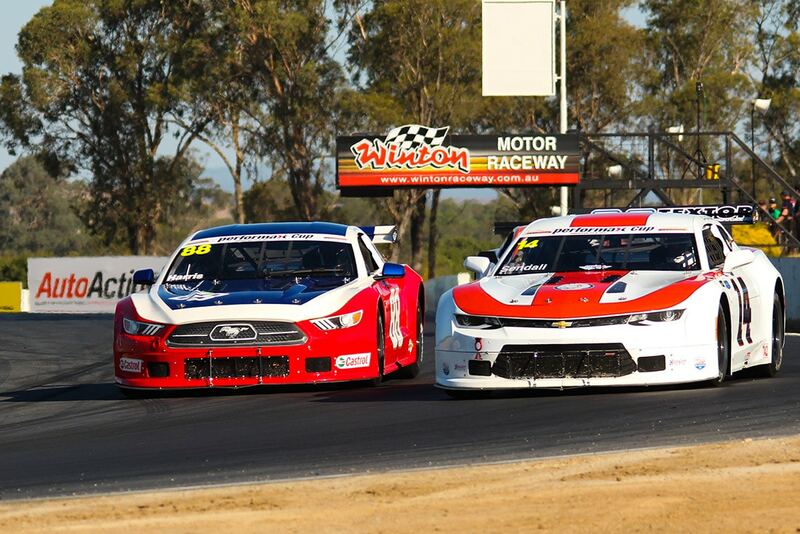 Wakefield Park will welcome Round 4 of the new-for-2018 Australian Motor Racing Series (AMRS) on 18-19 August. The series, run by the Benalla Auto Club and sanctioned by the AASA, kicked off at Winton in March and has also visited South Australia’s Mallala circuit, and Morgan Park in Queensland. With live streaming on the Sunday of every event, and a dedicated team of staff and officials who travel to every race meeting, the AMRS provides a professional, national-level racing platform for competitors and categories at an affordable price, and has been an instant hit with drivers and motorsport fans. The TA2 (Trans-Am 2) Series is the spiritual successor to the American Trans-Am Series, which saw iconic muscle cars such as Chevrolet Camaro, Ford Mustang, Dodge Challenger and Pontiac Firebird doing battle on US circuits. The TA2 cars are based around the same fundamental ingredients that made the original Trans-Am formula so successful – V8 engines, high horsepower and the excitement of rear-wheel-drive handling. The cars have Mustang, Camaro and Challenger bodyshells, but are all powered by control 6.0L Chevrolet V8 crate motors. The Mazda RX8 Cup Series is a one-make series for Mazda’s popular rotary-powered RX8 sports car from the early-to-mid 2000s. The series kicked into life at Winton, and has rapidly grown since, with series organisers predicting as many as 20 cars on the grid by season’s end. The series is designed to be affordable and accessible, and has attracted a number of motorsport newcomers, along with experienced racers such as Ric Shaw, Stephen McLaine and Sam Silvestro. With the cars built to strictly-enforced technical specifications, the results are determined by driver ability. After starting life as a state-level category at the Winton and Wakefield Park circuits, the Legend Cars Australia category has expanded to a full national series in 2018, with the winner receiving a fully-funded trip to the States to compete in the US Legend Car Nationals. The series is contested by small, motorcycle-powered cars with bodyshells based on the ’34 Ford Coupe and ’37 Chevy, which can also race in speedway competition. Another series created in 2018, GT-1 caters for production sports cars and exotic GT3-spec cars up to 2013 model. Therefore, it attracts a range of high-end marques including Ferrari, Porsche, Lamborghini and Audi, along with the Australian-built MARC cars. 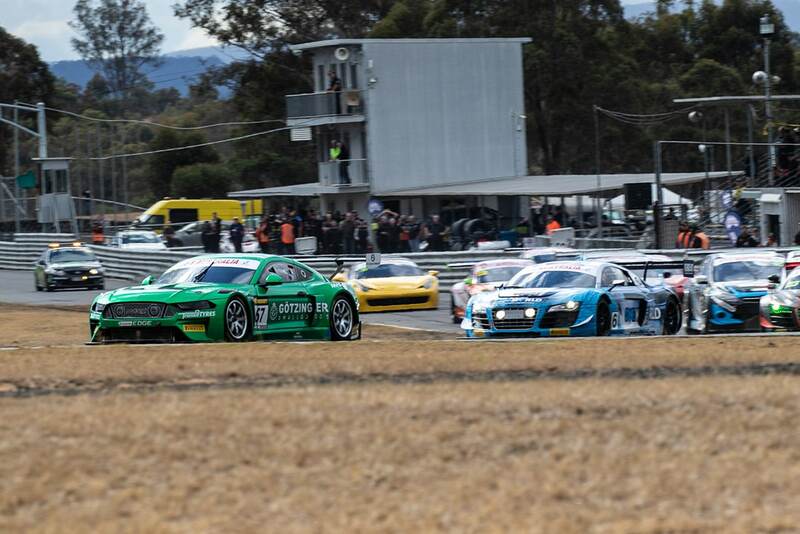 Each round of the GT-1 Australia Series consists of a pair of 50-minute races with compulsory pit stops. A handicap pit stop system is used to level the playing field, with faster drivers having to spend longer in the pits – typically, this produces close and exciting finishes. Running in a combined field, these cars represent the best of Aussie machinery – Holden and Ford V8 Utes, V8 sedans in the Group 4 class, and Holden and Ford six-cylinder sedans in the Super 6 Touring Cars. 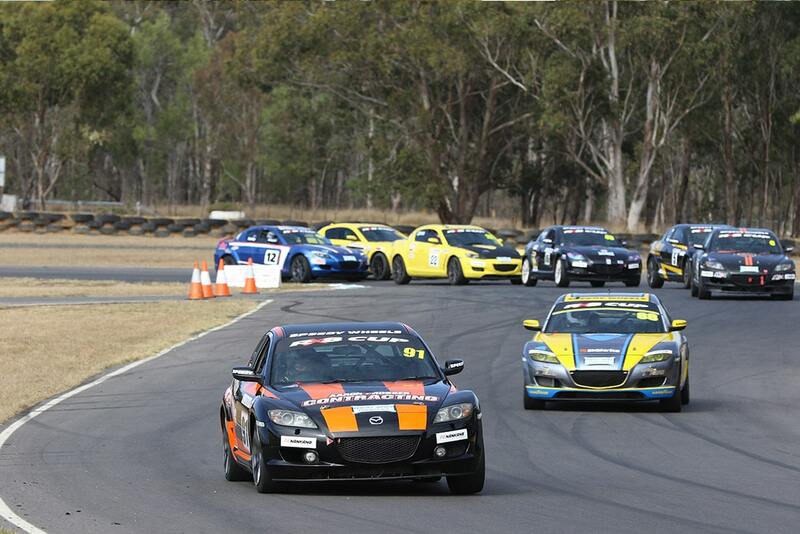 The Outlaw V8s category caters for V8-powered vehicles that have become obsolete, including Commodore Cup cars. The IROC Challenge takes its inspiration from the International Race of Champions Series which ran in America during 1973 and ‘74, and pitted Formula 1, Indycar and NASCAR drivers against each other in identical Porsche 911 race cars. The modern-day incarnation of IROC Challenge is based around the same concept, with the IROC-specification 3.6 Litre Porsche 911s eligible to run in the series, along with a class for “Classic Porsche” (pre-964 model 911 race cars) and “Gruppe S” (any Porsche 911 race cars currently eligible for historic competition). The Miniature Race Car Series has become home to a range of small, motorcycle-engined race cars, including Future Racers and Aussie Racing Cars. The Wakefield Park AMRS round also welcomes Formula Vee for a one-off appearance. The category is strong in NSW, representing an affordable pathway into open-wheel racing, and always producing close racing with lots of slipstreaming and positional changes. Spectator admission for the Wakefield Park AMRS round is $15 for Saturday, $20 for Sunday or $30 for a two-day pass, with kids under 16 free.